Specializing in breast augmentation, hand surgery, liposuction, browlift, eyelid surgery, tummy tuck, breast reduction and breastlift. Includes information about the practice, physicians, staff, procedures, policies, maps and directions and contact details. If the business hours of Rockland Plastic Surgery, LLP in may vary on holidays like Valentine’s Day, Washington’s Birthday, St. Patrick’s Day, Easter, Easter eve and Mother’s day. We display standard opening hours and price ranges in our profile site. We recommend to check out rocklandplasticsurgery.com/ for further information. 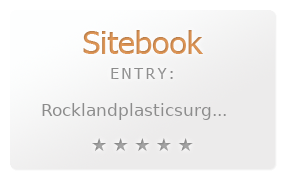 You can also search for Alternatives for rocklandplasticsurgery.com/ on our Review Site Sitebook.org All trademarks are the property of their respective owners. If we should delete this entry, please send us a short E-Mail.